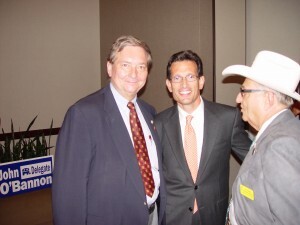 Eric Cantor Op Ed Opposing view: Squandered opportunity | Virginia Right! Eric Cantor has an Op Ed Published in USA Today that highlights the dismissive attitude of President Obama. Congressman Cantor is truly interested in American jobs and American success in these troubled times. He has personally handed Obama plans that will bring much needed jobs back to the US, but Obama’s arrogance will not allow him to act on the sage advice he was handed. Democrats substitute wasteful spending for private sector growth. Turn back the clock to January 2009. The administration requested Republican ideas to help spur job creation, and I personally handed the president a plan developed by the House Economic Solutions Group. One of its many features would have boosted incentives for hiring and investment through direct tax relief to cash-strapped small businesses and families. Using the Obama administration’s own formulas, it would have created twice the jobs at half the cost of the Democrats’ bill. But President Obama responded coolly to our ideas when we presented them. “I won,” he insisted. He forged ahead on legislation crafted in the shadowy back channels of the Capitol by Speaker Nancy Pelosi, who used the opportunity to load the bill with pork, increasing funding for her party’s government programs of choice. As a result, the $800 billion stimulus failed to garner the bipartisan support that such a massive taxpayer-funded undertaking deserves. Over 3 million lost jobs later, Americans can only lament the squandered opportunity. Instead of private sector growth, government has expanded rapidly, spending has skyrocketed, but real job growth remains as elusive as bipartisanship. One-time government spending may fund a few jobs today, but what happens when the government money goes away? Indeed, the White House’s long-term ideological agenda — most notably cap-and-trade, excessive spending, health care mandates, and tax increases on income and investment — has spread uncertainty about the cost of doing business. Investors remain on the sidelines, and businesses are too afraid to increase hiring and expand. To restore badly needed confidence, House Republicans again handed President Obama a no-cost jobs plan in December. Our proposal called for common-sense initiatives, such as passing pending free-trade deals and ditching unnecessary regulations and tax increases that stifle job growth. Two months later, there has been no response. While official unemployment hovers around 10%, real unemployment is frighteningly higher at nearly 17%. We must focus on ways to create the jobs that American workers and our economy desperately need. More government spending is not the answer. Just last week, Republican Leader John Boehner and I wrote to Speaker Pelosi requesting an open forum on job growth. Once again, there has been no response. Rep. Eric Cantor, R-Va., is the House Republican Whip.